I want you to stop thinking of segmentation the old way. In modern marketing, any consumer segmentation must be scored onto the DMP using lookalike modeling and becomes one of these profiling variables. Hence, your segment classifications don’t stop with the 5,000 people in your survey or even the next set of surveys you run using typing tools. 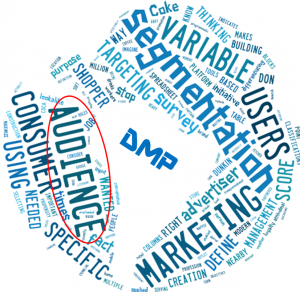 Your segmentation must be applied to the 100 MM plus users in your DMP. Yes, your consumer segmentation is important, but as an input into something more…the creation of an audience for a specific purpose. That’s right…segments are building blocks for audiences. Segmentations are not the end point in differentiating consumers, audiences are. 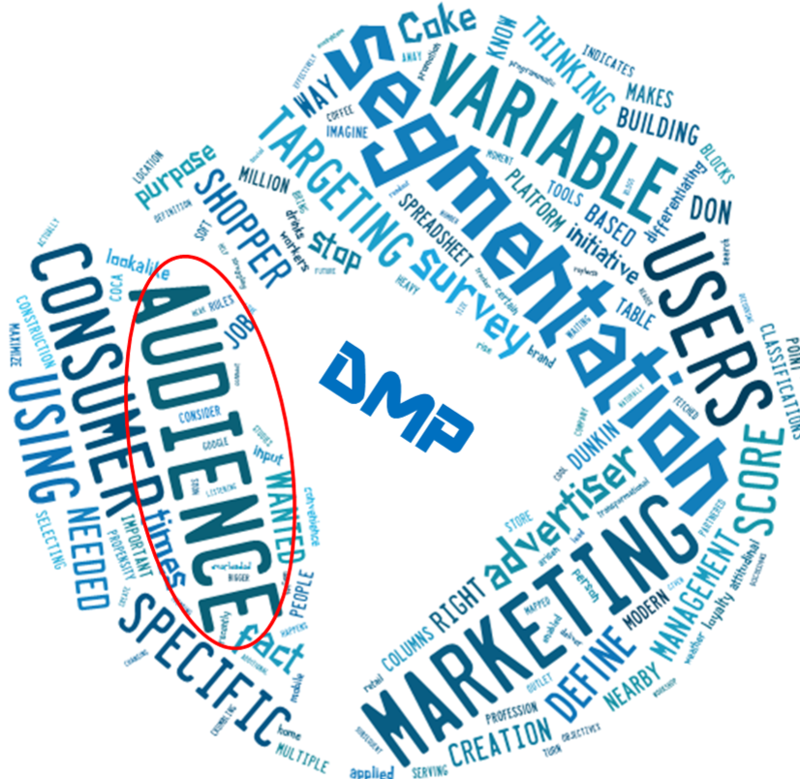 More specifically, segments are ONE OF THE PROFILING VARIABLES in your DMP used for sub-selecting an AUDIENCE for a specific marketing purpose which is ADVERTISER-DEFINED. In fact, you can have multiple segmentation schemes (e.g. consumer, shopper, loyalty) that all are used in the creation of an audience. A shopper segmentation profiling variable that indicates this person occasionally buys soft drinks from a convenience store or QSR. Ad serving and bidding rules that are based on weather, location so if you know this user is away from home at a certain time on a hot day, you can heavy-up spending on mobile for that moment-based marketing. Coke could even turn this into a shopper marketing initiative and bring in the retail outlet that is nearby into the ad/promotion. This is not far-fetched; Google and Dunkin Donuts have now partnered so that if you search for coffee, you not only see all the nearby Dunkin Donuts mapped out, you also see the waiting times at each! Some readers might say, “But this is a small audience, right? No scale!” Well, the future of precision targeted marketing to moments will be this! You will achieve scale via the collection of hyper-relevant marketing opportunities, all aligned to the brand meaning and purpose to stay strategic. Note that while segments are mutually exclusive, audiences are not; you might have 5 segments but 50 different audience definitions over the course of the year, each aligned to a specific marketing idea. This is the future and it calls for different thinking. This new way of thinking about segmentation could have only arisen recently, enabled by the rise of programmatic marketing and DMPs (soon every advertiser will have one). Before this, advertisers could not define audiences…that was the job of the media company. Now they can, and we can crack the code on actionability of segmentation research. This plan is transformational to the value of segmentation studies because it makes them actionable and actually makes them more able to deliver targeting value as a part of something bigger, an audience definition, so they don’t have to become overloaded with objectives that lead to them crumbling. When you score your segments onto your DMP, something else cool happens. You can get a naturally occurring trending readout that reflects the changing size of each segment, right from your DMP! No additional survey needed! In fact, your DMP (plus social media listening) can become your tracker…but more on that in subsequent discussions and blogs. If you are struggling to effectively connect your insights to your DMP, I am here to help and would love to hear from you! In fact, I created a workshop and given it a number of times on the digital data ecosystem for marketing researchers that might be of value to you, the reader. Let’s build the future of marketing research in a digital age together!